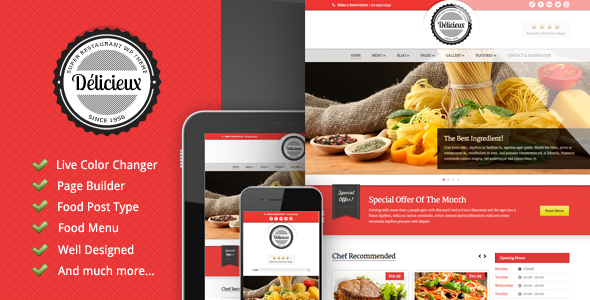 Sweet Cake is a one page Responsive HTML5 CSS3 Theme for WordPress perfect for your business. The graphic is very sweet and creative, is ideal for bakeries, ice cream shops, restaurants and cake designers but if you want you can change the colors to adapt the theme for all activities. In the package you will also find sweet icons in vector format. 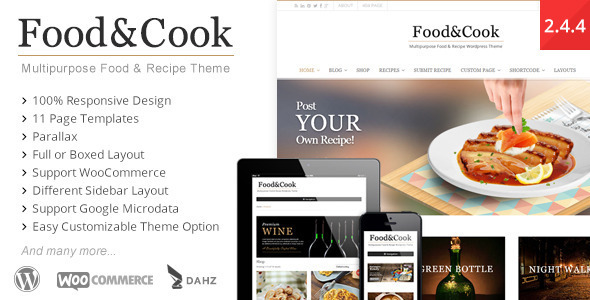 The theme has been designed using the 1200 px grid system with 12 columns. 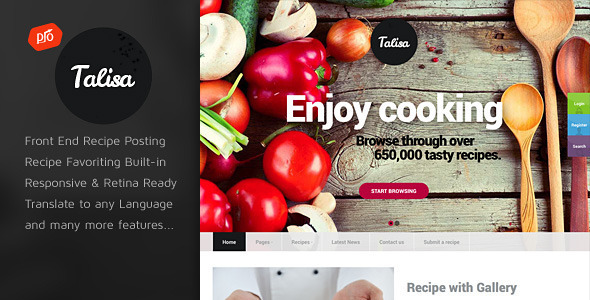 This entry was posted in Food, Retail and tagged bakeries, cake, clean, creative, css3, cupcake, food, html5, isotope, modern, one page, onepage, portfolio, responsive, restaurant on October 8, 2014 by Vera Jaman. This entry was posted in Food, Retail and tagged cafeteria, cake, chef, cook, drinks, food, gallery, italian, page builder, pasta, pizza, red, responsive, restaurant, wine on October 8, 2014 by Vera Jaman. 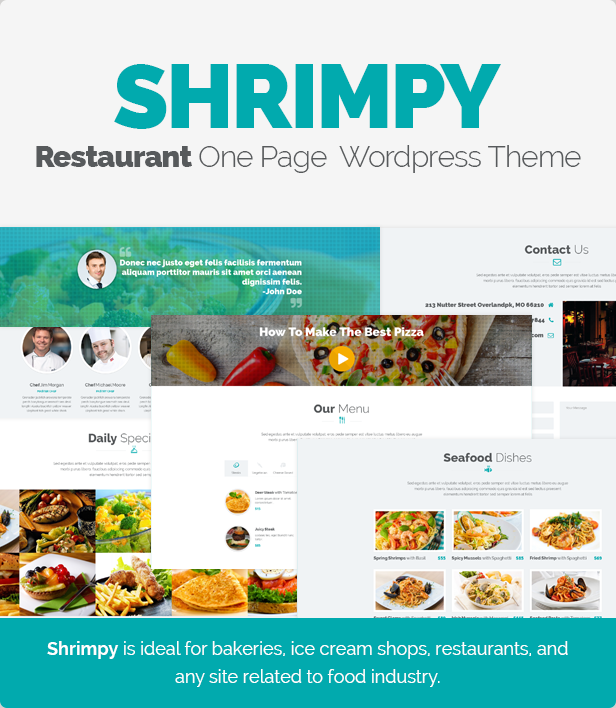 We bring to you an awesome Restaurant and premium food theme design which has specifications best suited to fit in food industry businesses. 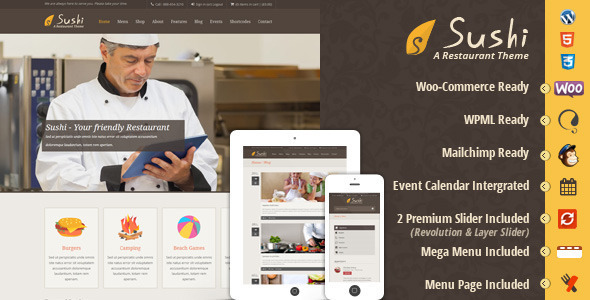 It is being delivered hot with some tempting features like semantic code, powerful admin panel and premium slider plugins, menu or catalogue custom post with woo commerce to make comfortable payment / on-line shopping experience, Event Calendar Pro plugin to create stunning event pages etc., Sushi comes with features helps you in creating a flavourful and appealing website to your clients. 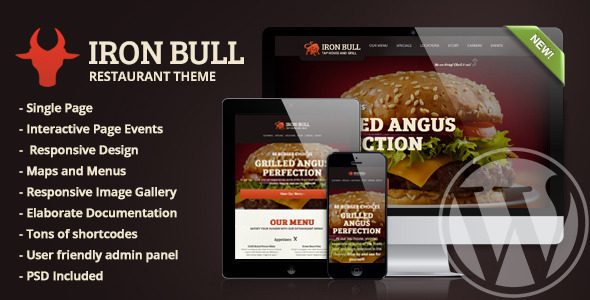 Grab it now and give your website a whole new enticing experience! This entry was posted in Food, Retail and tagged bakery, bar, chef, coffe shop, ecommerce, event, food, hotel, multipurpose, recipe, restaurant, shop, wine on September 16, 2014 by Vera Jaman. 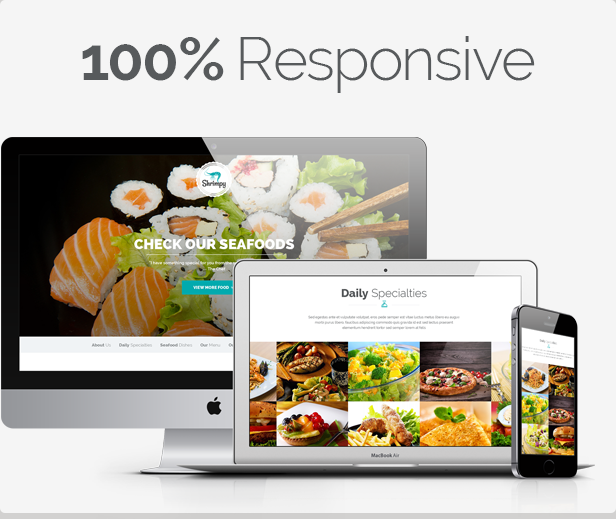 Packed with everything you need to launch your site by this weekend! 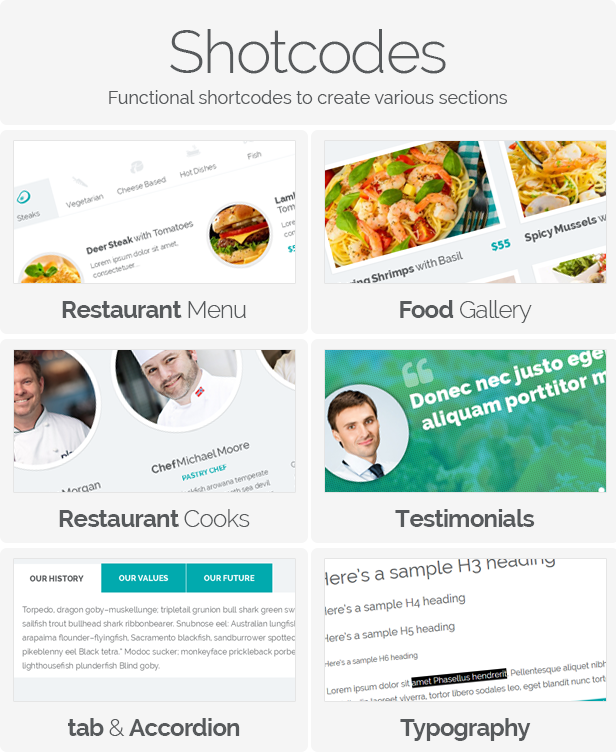 Beautiful menus, OpenTablereservations or galleries are just a few clicks away – all within a single integrated interface! This is what ROSA is all about: offering the just right tools so you can tell your story! 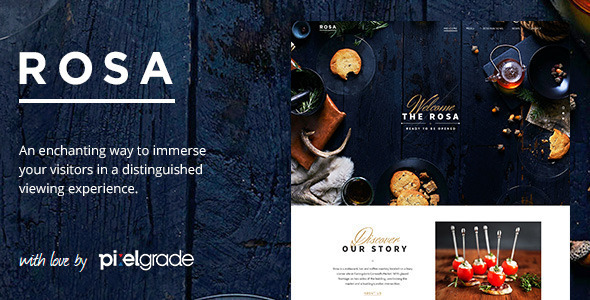 This entry was posted in Food, Retail and tagged bakery, bar, cafe, flat, food, fullscreen, map, menu, parallax, pixelgrade, portfolio, presentation, pub, reservation, restaurant on September 16, 2014 by Vera Jaman. 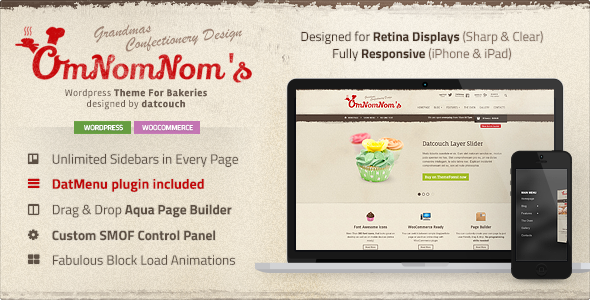 Omnomnom’s is a premium theme for Bakeries and restraunts that is built with love and care by datcouch.com. This entry was posted in Food, Retail and tagged aqua page builder, bakery, brown, cupcakes, datcouch, food, gallery, grunge, lightbox, retina ready, shop on September 4, 2014 by Vera Jaman. 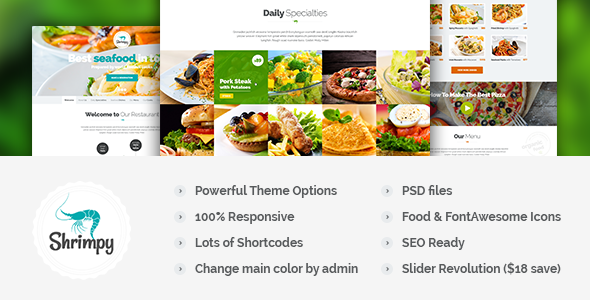 This entry was posted in Food, Retail and tagged bakeries, cake, clean, creative, css3, cupcake, food, isotope, modern, one page, portfolio, restaurant, shop on September 4, 2014 by Vera Jaman.